Is someone you know itching for a new pair of designer glasses or even new contacts? Then look no farther, LensDirect has the perfect gifting solution for just the occasion! We offer hundreds of optical products, and now with our easy-to-use Gift Cards ($25, $50, or $100 amounts) you will never have to worry about lost cards, mysterious fees, or even expiration dates ever again. 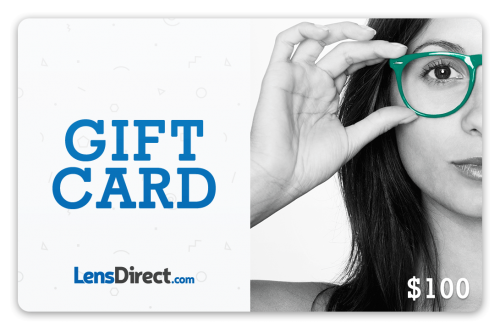 You can easily manage your balance or redeem new gift cards by navigating to “My Account.” Gift cards will apply directly to your balance towards any contact lenses, eyewear, optical accessories or products offered on LensDirect.com.